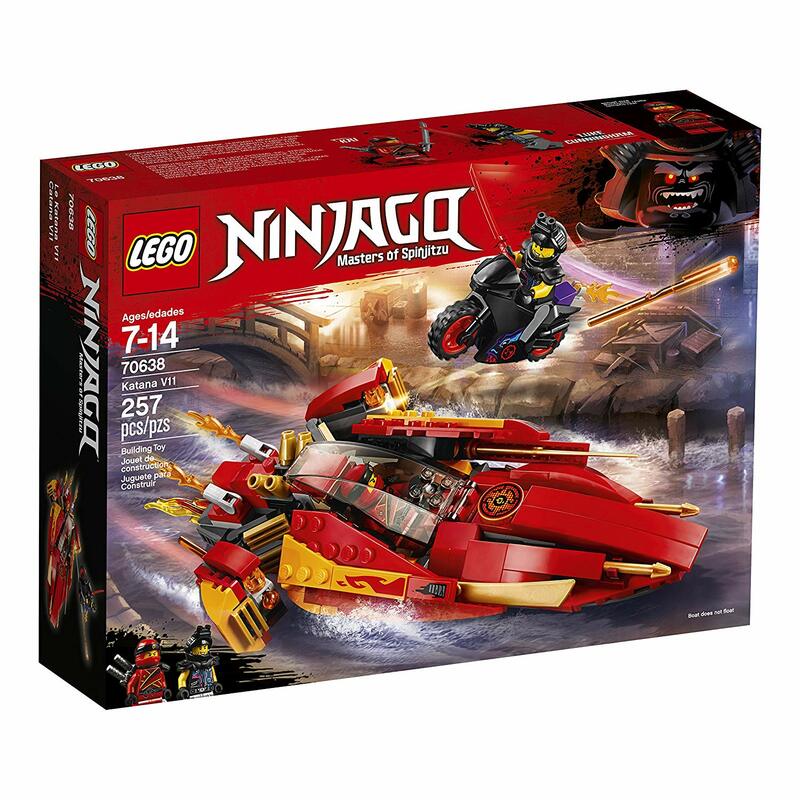 Since its release in 2011, Ninjago is a popular theme in the Lego world that includes a television show and a movie, along with a good many Lego building sets. As the television show is currently the longest-running series airing on Cartoon Network, it is obvious that children truly adore the ninja theme. Of course, the building sets are extremely popular as well. Additionally, these sets are a great gift for your kids as they offer a broad assortment of developmental advantages along with lots of entertainment and opportunity for creative and imaginative play. 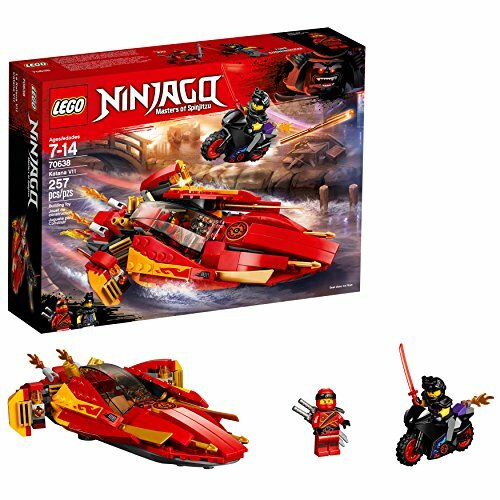 The only problem is, there are so many Ninjago themed sets available, deciding which ones to purchase can be overwhelming. To make your selection easier, here is a list of the best Lego Ninjago sets on the market. 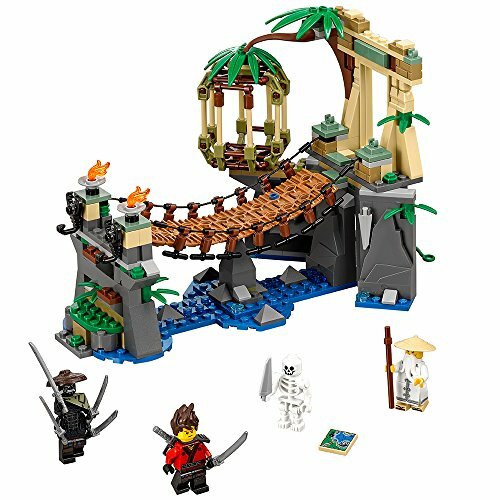 Ninjago fans will enjoy building their own interpretation of Master Falls with this kit. This set includes tropical plants, jungle bridge, a secret cave containing a skeleton, and a cage, along with a few other accessories. 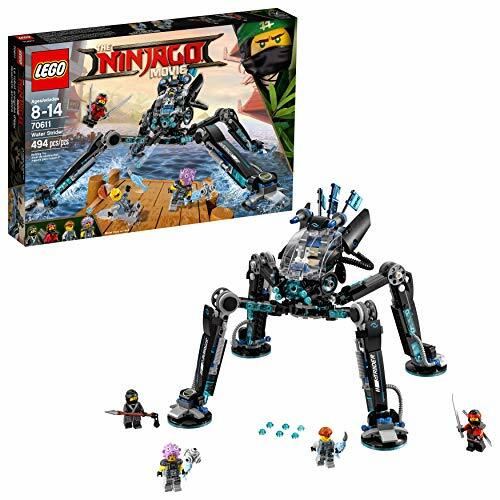 Of course, the set wouldn’t be complete without Kai, Jungle Garmadon, and Master Wu, who happen to be included in the form of three minifigures. Sadly, there are no action figures included. Once constructed the bridge is eight inches wide, six inches tall and five inches deep. It looks great with the exception that the railings do not sit high enough to look realistic. 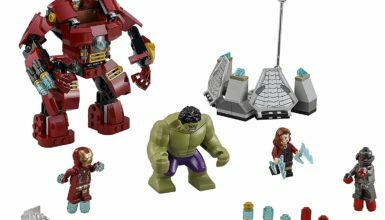 This set contains 312 pieces and is recommended for children aged 7 to 14 years. It takes just a couple of hours to construct. Kids can open and shut the cage, spurring their imaginations by letting them place minifigures inside during play time. The skeleton conceals itself within the cave, waiting to be uncovered as the set is built. This set comes highly recommended with many positive reviews. This impressive playset has 4867 pieces, which makes it a fine choice for teens or even adults. Included in this set is a building that has three levels. Each of these levels can be separated from the rest, which makes it easier to play with. Additionally, each individual level has its own interactive features. Some of these features are a river, a functional elevator, a house, and a market. This set is intricately detailed and sits over two feet tall and one foot across. Children will enjoy several hours of imaginative play with special features such as a fishing boat to carry their characters to the fish market, or they can order from a sushi conveyor and pay with cash obtained from a functional ATM. There are 16 minifigures included in this set, unfortunately, the characters included are a little on the bland side. 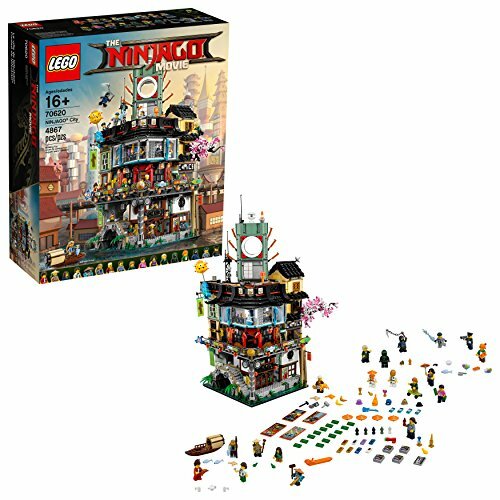 The Ninjago City set is recommended for individuals who are 16 years or older. That said, younger kids will certainly enjoy playing with it as well. The build is somewhat complex and younger kids would need help. Kids will have loads of fun recreating the dragon pit scene as viewed from the television series with this playset. Along with the pit, they can also build a posable earth dragon figurine. Additionally, this set includes an assortment of accessories such as swords, Golden Dragon armor pieces, and a throne. Nine minifigures in the forms of Jay, Cole, Heavy Metal, Arcade, Chew Toy, Zane, Iron Baron, and Kai are also included. Featured within the dragon pit are a watchtower, missile shooters including projectiles, and a trap door which leads to a jail. The dragon comes with a saddle that any of the minifigures can ride in. This set is recommended for individuals who are aged 9 to 14 years. It has 1660 pieces and a solid construction. Like others in this list, this playset comes highly recommended with numerous positive consumer reviews. 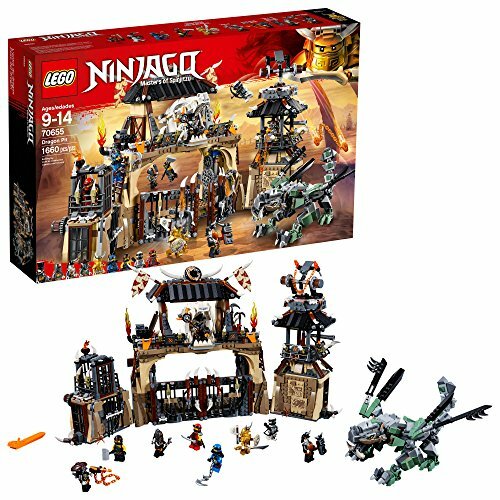 The Master Wu Dragon set includes 575 pieces which will be used to create three models, a temple, Sensei Wu’s dragon, and a rickshaw. In addition, this set includes five minifigures. Each of these figures has its own accessories and weapons, allowing children to play out numerous scenarios. The age recommendation on this set is 8 to 14 years. The Master Wu Dragon set has interactive elements such as a poseable dragon head with moveable jaws. Furthermore, the dragon’s legs, tail, and wings are articulated to make it appear more real. That said, the articulation in the legs is a bit limited and legs appear hastily made and unfinished. The rickshaw is equipped with disc shooters and even has a compartment that the discs can be kept in when not in use. Every aspect of this playset is greatly detailed with a variety of accessories and decorations. This Lego set is excellent for both playing with or setting up as a display. This is another excellent set based on the movie. 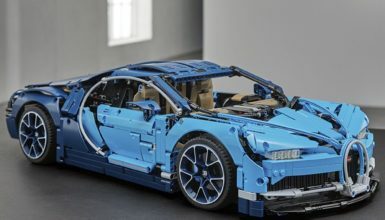 This set contains 944 pieces, some of which are tiny. 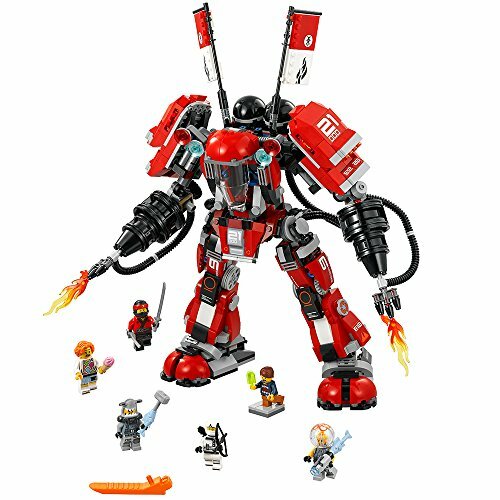 The Fire Mech is suggested for children aged 9 to 14 years and usually takes the average child a few days to build because of all the tiny, complex pieces. Once built it is a complete replica of the Fire Mech robot, as seen in the film, and it comes with some excellent additional features. It is possible to open the cockpit, which has a spot to hold a single minifigure. There are fire elements located on the arms and you can shoot discs from the shoulders. This set also includes six minifigures in the forms of Zane, Jelly, Hammer Head, Lauren, Kai, and Henry. Fully constructed this model stands 14 inches high, eight inches across and four inches long. Overall, it’s an excellent model with the exception that there are no knee joints on the legs, which causes it to tip over easily. The Katana has 257 pieces and is fairly easy to build. This playset is suggested for children aged 7 to 14 years old and usually takes just a couple hours or less to build. Along with the pieces necessary to build the Katana ship, this set includes two minifigures in the forms of Luke Cunningham and Kai. Once it has been fully built, the speedboat is seven inches long, three inches across and one inch high. Although Lego is waterproof, this boat model is not made for play in the water. That said, the boat does not include wheels but it would move better during playtime if it did. The Katana V11 is equipped with functional foldout boosters. It also has two hidden shooters and a storage area which opens to hide your weapons in. 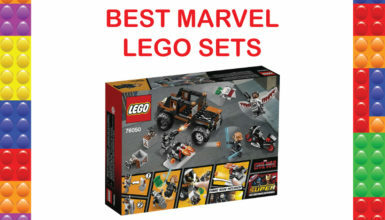 This set also includes a little motorbike on which either of the minifigures will fit. This sweet looking model contains 494 pieces. Once its fully built, the water strider stands 7 inches high and is 11 inches long by 11 inches wide. It has four posable legs so it is ready for battle. 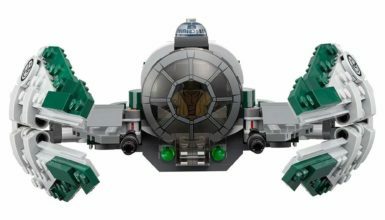 this model includes a rotating cockpit, which turns a complete 360 degrees, that seats a minifigure of your choosing. Speaking of minifigures, four come with the set, they are Puffer Grey, Nya, Shark Guy, and Kai. The Water Strider is suggested for children aged 8 to 14 years and is complex enough to satisfy the older kids. With four entirely posable legs and six stud quick shooters, you can play out numerous imaginative and fun battle scenes. The only downside with this set is that the connections have a tendency to be weak, which leads to the strider occasionally breaking apart while playing with it, so kids will need to be mindful of this and use care. There is only the one build in this set, which is, of course, the Mech Dragon. The entire dragon is sandy green in color and looks quite natural. The head can be moved and posed in a variety of positions. The mouth of the dragon actually opens and closes. There is also a cockpit located on the dragon’s neck, where a minifigure can sit. Furthermore, this dragon has fully posable legs, enabling you to set the dragon in a variety of positions for enhanced imaginative play. 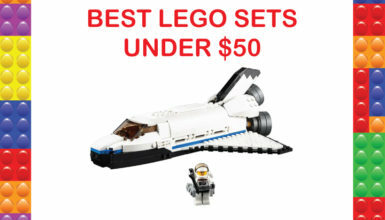 This set should come with 544 pieces, unfortunately, it has been reported to have missing pieces on occasion. 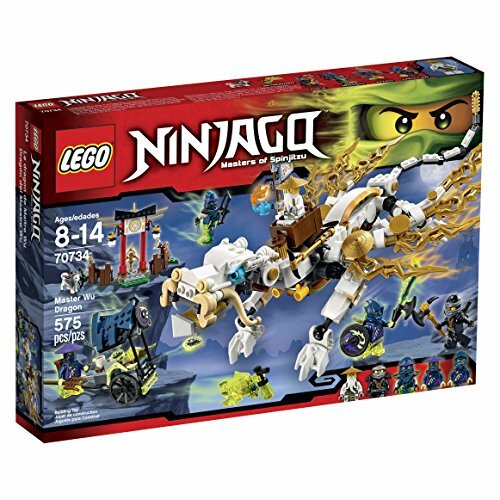 Additionally, the set comes with 4 minifigures in the forms of Lloyd, Lord Garmadon, a soldier named Charlie, and Master Wu. It is suggested for children between the ages of 8 to 14 years. It provides enjoyable fun and imaginative play but is a little limited as it only has the one build.